Rhino Whole House Well Water Filter is rated 4.4 out of 5 by 202. Designed specifically for well water contamination to protect from bacteria, viruses and other contaminants commonly found in private well water. Includes a carbon media upgrade, larger 20" pre-filter, sub-micron post-filter and our Sterilight Ultraviolet Filter. Reduce your body's exposure to harsh synthetic chemicals that can cause damage and excessive drying. Base install kit for EQ-Well-UV includes: plastic fittings, a 20” pre-filter, a sub-micron post-filter and a UV filter. Does not include brass fittings or bend supports and shut-off valves for by-pass loop. Our well water whole house filter system is comprised of carefully sequenced stages, each with its own unique formula of high-potency, contaminant-grabbing media and filtration. reduces scale and water soluble heavy metals while inhibiting bacteria and algae growth. Rated 5 out of 5 by SC Born NC to Retire from Very pleased with our new whole house water filter We're on a well in the mountains of western NC. Water was hard and had a sulfur smell quite often. We immediately noticed the improvement with the Aquasana Rhino system. No odor, great taste and lathering up for a bath is great! We couldn't be more pleased! Rated 5 out of 5 by George W from I can't believe how bad our water was!!! I am amazed how much better our well water is after we installed this unit. The water is clearer, tastes better and softer. It is an amazing product and I recommend to anyone who has very hard water. Rated 5 out of 5 by Water Hunter from Amazing The system was an easy set up and I could tell the difference immediately. Rated 5 out of 5 by Kent from Very HAPPY! Solved our Issue(s).Improved our Lives We are extremely happy with our purchase. I waited about a year to write the review, but we've been happy since day 1. I'm extremely pleased and satisfied, and have recommended to others and would continue to recommend. We had several well water problems, including methane, clay, particulate, turbidity, etc. my fish in my fish tank all died after moving in. We and guests could smell the water, and could feel the slimy-ness when washing hands and in the shower. 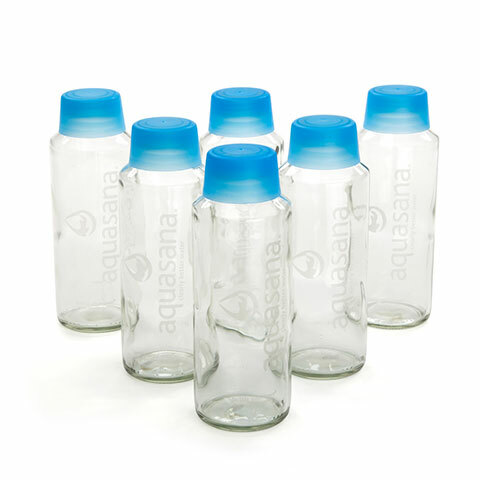 Aquasana has changed (and improved) our lives! This filter system solved it all. We get comments from same past guests that they notice the difference immediately. We hired a prof. plumber for the install and it took almost all day and ended up costing more than the original estimate, but I was happy I did hire him. Be sure you have plenty of room/width for the install. Review all instructions prior to install and familiarize yourself with and complete the pre-work and setup steps. This replaced a different system that we inherited when we purchased the house, that was not working. We got estimates for repair or replace and they were all outrageous. 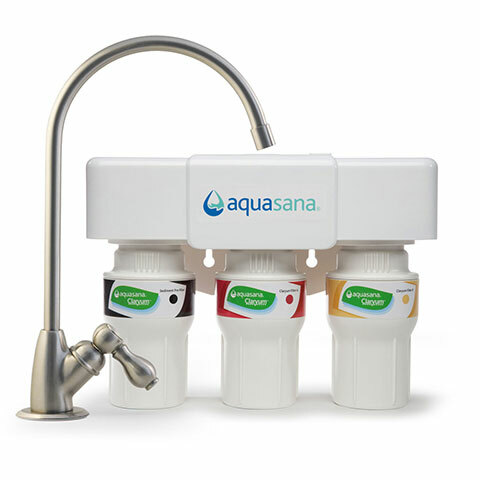 I spent close to a year having water analysis, free in-home estimates, and doing research and then I was told about-and-discovered Aquasana. I'm thankful. Rated 5 out of 5 by Russ S from So far so good This unit was easy to install, estimate time of install was around 6 hours (including my usual two trips to the hardware store) Going from a single pre filter to this unit there is no comparison to the quality of water I am now seeing. After 30 days of use I have witnessed no iron deposits or discolor of any kind. Rated 5 out of 5 by Matt S from Easy to install and gives peace of mind The filter is working perfectly. We have 6 people living in our house with 4 bathrooms. The water pressure has kept up and the installation was pretty easy. One problem I had was with initial setup, I was overly cautious with NOT over tightening the screw on connections ( per the instructions not to crack the connections ) ... so initially there were some leaks/drips around those connections. I turned off the water, disconnected them all and re-tapped the connections and this time tightened them as much as possible and everything worked perfectly - no leaks at all. I even put a flow meter in front to track the number of gallons used by the filters... I recommend this to get as close to the 500,000 gallon limit on the main carbon filter as possible. Otherwise you are just estimating. Rated 5 out of 5 by FrBill from Best I have ever owned It took a little work to get it together and running. But it is worth everything that I paid for it!! 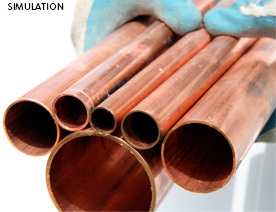 The water use to be foul smelling and tasted like.... Copper! Now it smells great and tastes great! When I fill up a glass I noticed a cloudy appearance but within a few seconds it is gone and looks fine. It reminds me of great oxygenated water I am so happy to have gotten this system! Thanks Aquasana!! Rated 5 out of 5 by BillB from Quality product that really works! We live in an area with significant amounts of iron...this "system" produces water with exceptional quality and taste. We change our pre-filter every month and the post-filter every 3 months. We also test our water every 6 months as we had unacceptable levels of coliform bacteria in the well water. This system continues to deliver water that passes testing without fail. We would definitely purchase this whole house well water filter again. 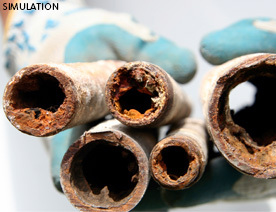 Rated 5 out of 5 by NC Dude from Great solution The main reason you have a water softener is so that your pipes don’t get clogged with minerals. We had a salt water softener. I was tired of lugging bags of salt and polluting the land with salt residue when the thing recharged. So,after some research I picked the Aquasana Well system. The installation was pretty straight forward. Now, I no longer lug bags of salt and my pipes are not being clogged and, according to the product description, are even being cleared of excess minerals as I use it. All the water in my house is filtered and delicious. I even put in a water meter, so I’d know when to change the filters. So far we’re using about 4500 gallons a month. Glad I got the Aquasana system! Does the system have to stand upright? I have a crawl space where I can install it, but I don't have 5 feet of space. Hello my well puts out a lot of iron rusty looking. Would this unit be for me? Just had my whole house filter softener and UV system installed. There is a crack in the glass around the UV tube the the light goes into. Can this be fixed or does the canister itself have to be replaced? Is there any filter replacement? 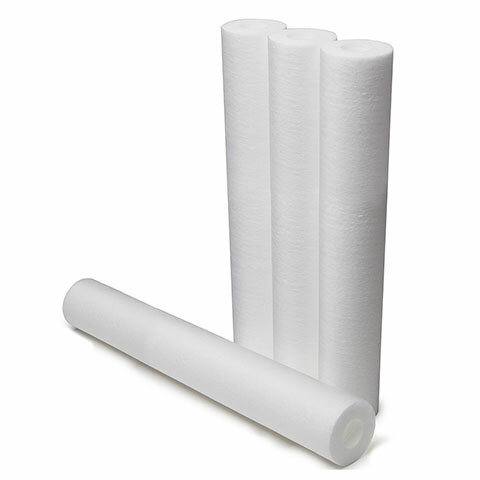 If so, what is typical life expectancy of these filters? There are a pre-filter, post-filter, and a UV filter. The UV bulb is good for 365 days. The pre-filter I change every 2 months, and the post-filter I change 2-3 times a year. The two main large blue filters are good for at least 5 years (I think). It depends on the condition of your water source and how much water you run through the filtration system. The quality and taste of the water after filtration is nothing short of awesome. When my children are home they take many bottles with them when they leave. We have a state of the art water filtration system for our shared well. 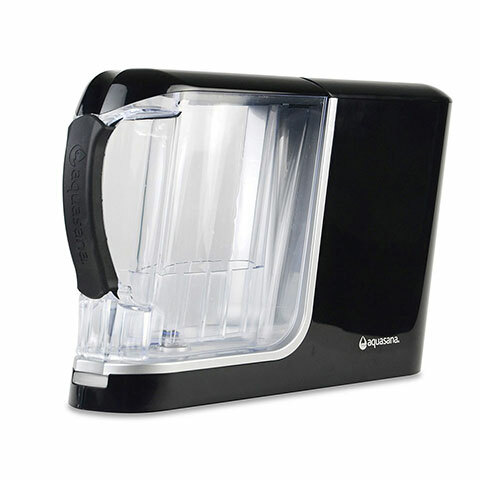 However, it does not have a water softening component, so we get mineral deposits, scale, etc. Do you have a whole house system that just softens the water? Recently moved into a house thats near farm fields with well water, upon moving in water was tested and found 3ppm arsenic and has a rotten egg sulfur smell, will the whole house rhino solve it? Thank you.